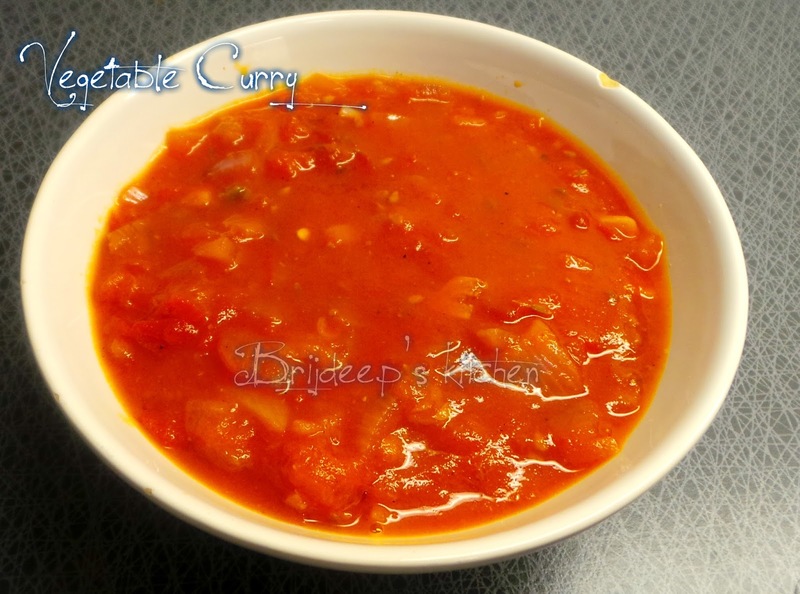 Many a curry recipes have been shared by me previously but this one is nothing like any other: it's a totally different curry; a versatile vegetable curry. So what is this versatile vegetable curry? 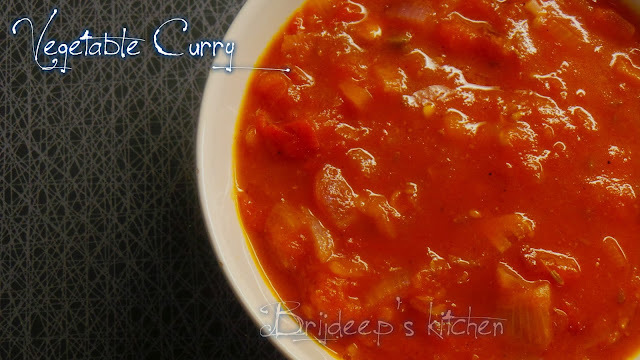 It's a curry base for so many dishes but totally unlike any other curry base. I have prepared and shared many curry bases like tomato base, yogurt, cashew curry, green curry and so on.. But this base curry contains vegetables. Yes, vegetables which are not liked, hidden in the base curry and more visible vegetables added to the curry in form of koftas etc. So, how about vegetables inside vegetable curry? A double dose of vegetables in a single meal, isn't it? 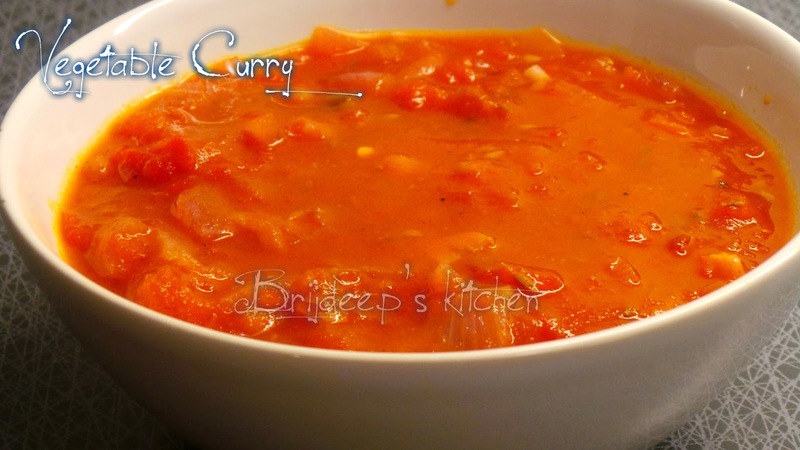 This curry is prepared adding vegetables which can be carrots, beetroots, zucchini, peas, pumpkin, bell pepper, or any other greens etc. which are usually eaten less or straight away disliked: both by kids and adults. This is also a great way to add nutrition to the diet by adding vegetables which are otherwise lying in the refrigerator and nobody is agreeing to eat, which happens with everyone at some point of time. I have used carrots and beetroots in this recipe but you can use any disliked/less preferred or to-be-used-soon vegetable to this curry. The fun part? Nobody can make out the taste of vegetables in the curry. This curry can then be used as a base for so many vegetables like zucchini kofta, potato kofta, paneer kofta, paneer, base for egg curry and even as masala base for tempering dal. 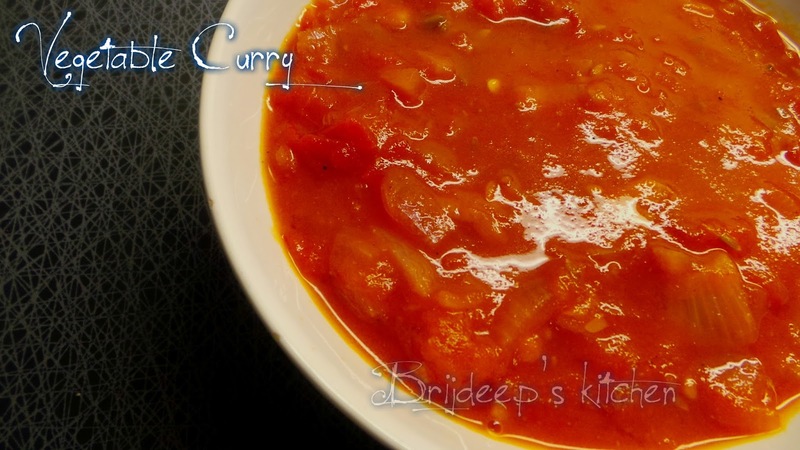 You can also use it with any simple stir fry like potato and peas stir fry: just add this curry base and voila! your potato peas curry is ready (which has more vegetables in it.. shhh don't tell anyone). Stir fry any vegetable: zucchini, brinjal, cauliflower, broccoli, carrot and add this base to make vegetable curry inside vegetable curry (inception). This can also be used to transform any left over subzi. You get the idea..
Make a puree of the beetroot and carrots with enough water (grind in a mixer until smooth, there should be no chunks of vegetable otherwise it will no longer remain a secret). Keep aside. Heat oil in a deep pan/kadhai. I used my cooker without lid. Crackle the cumin seeds and add asafoetida. Add the onions and saute until they are transparent. Now add the ginger-garlic paste, tomatoes, salt, red chili, turmeric and coriander. Mix and let cook on low flame. When the tomatoes begin to soften, add the vegetable puree. Mix well. Let cook on low flame for about 20 minutes until the gravy begins to thicken. Add garam masala and mix well. Turn off the flame. The curry base is ready. Congratulations, you have now hidden the vegetables inside a curry and nobody will ever know. Add some paneer or koftas and serve with chappatis or rice. If someone asks why the taste is different, just be really confident and say you experimented a new curry base today and you think it's awesome. Don't tell about this recipe to your husband/kids. Enjoy! Loved this recipe? Do share your valuable comments and/or feedback in the comments section below and do share a picture if you try this recipe. Also, don't forget to connect with me on Facebook for regular yummy updates.